The paper shows the possibilities of the microgravimetric method to asses current and anticipated environment changes resulting from mining activities. Such assessment is useful for preparing local plans of land development. The microgravimetric research is not limited to detecting caves and low density zones associated with them. It may be also applied to locate drillings and control backfilling works. The use of microgravimetric method to solving the above mentioned issues was illustrated with a case study of the former zinc and lead mine "Bolesław" near Olkusz. Like in the case of other geophysical methods, the gravity data interpretation is now based on computers. Faster and faster computers make it possible to use interpretation methods in which complex algorithms and sophisticated software are employed. However, computers have not been available at all times. The author of the paper presents the applicability of two interpretation methods from the beginning of the second half of the 20th century, and one interpretation technique from the end of the 20th century, the latter still being developed by incorporating new algorithms and using state-of-art computers. Building of roads, especially expressways and highways, is often difficult in areas of former underground mining. Post-exploitation caverns may expand towards the ground surface and be a hazard to the safety and stability of road-surface. An example is the construction of the Gliwice-Katowice expressway in the Upper Silesian Coal Basin where shallow underground mining was made in the past. As a result of subsiding of post-exploitation caverns, discontinuous deformations may develop up to the ground surface. The paper presents results of microgravity survey which was conducted during successive stages of building the expressway. Geotechnical data measured prior to, during, and after road construction are also given. The effectiveness of non-invasive investigations applied to solve problems of that kind has been proved. Author(s): Szuster J., Matwiejszyn A., Ptak M.
The paper presents the capabilities of applying the microgravity survey in underground coal mines. A few examples of the pioneering applications in the Mysłowice Coal Mine are given. A few measurement methods and their mutual relationships are discussed and trends for further investigations are defined. 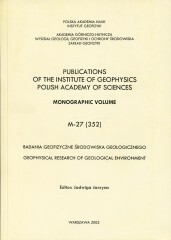 Author(s): Gibowicz S., Domański B. The extraction of source time functions based on empirical Green's functions is especially convenient for source studies of seismic events in mines, where underground seismic networks are situated in the source area and are often composed of a large number of sensors. So far, the source time function has been estimated for 17 seismic events which occurred at Rudna mine between 1996 and 1999. Now 18 new events were selected for the analysis, which occurred in 1999 and had magnitude from 2.5 to 3.6. The records of smaller events of magnitude from 1.8 to 2.7, located closely to the studied events and having similar focal mechanism, were used as empirical Green's functions. The relative source time functions were retrieved from the records of P waves by the classical deconvolution in the frequency domain and by the projected Landweber deconvolution in the time domain. The Landweber approach permits the introduction of restrains on the final shape of source time function and successfully overcomes the instability effects of the deconvolution process inherent in the frequency domain. The relative source time functions retrieved at several stations by both methods are often similar. They display directivity effects in 15 cases, implying unilateral rupture propagation in the source. The direction of the rupture propagation and the rupture velocity were estimated from the distribution of pulse widths and pulse maximum amplitudes as a function of station azimuths. The rupture velocity is variable, ranging from 0.3 to 0.9 of the shear wave velocity, but for 80% of the studied events the rupture velocity is smaller than 0.6 of the S wave velocity. On the basis of 135 ground vibration signals recorded by four ground seismic stations from Polkowice and the stations from Bądzów, Potoczek and Grębocice an attenuation of ground acceleration for Polkowice region has been studied. It has been determined that the statistical relation between the peak horizontal acceleration of vibration below 10 Hz frequency, amax [m/s2], and source seismic energy, E [J], and epicentral distance from the source, r [m], is log amax = 0.388 + 0.29 log E - 1.049 log square root of r2 + (812)2 . Statistical measures of dispersion around the regression and the confidence intervals for prediction are provided. The attenuation relation is nonlinear and, as such, does not have any formal lower limit of the range of applicability for the epicentral distance. In spite of its local character, implied by the origin of the data, the relation fairly agrees for epicentreal distance greater than 1000 m with linear attenuation relations of this kind, obtained from the data from other regions of LGOM. Author(s): Dubiński J., Stec K.
One of the basic factors crucial for the ground motion dominant frequency magnitude values is the geological structure of the near-surface strata at the seismometer test site. The physical parameter describing this phenomenon is the amplification factor that can vary at a given site depending on the ground motion frequency response. Stronger and distant seismic events can generate lower dominant frequencies at the test site. The ground motion amplification factor values, both calculated and observed from test site recordings, have shown vaariability in the range from 1 to 3. The highest ground motion amplifications for the Upper Silesian mine tremors were due to the Quaternary overburden of the thickness ranging from 10 to 30 m.
In areas where the shallow underground excavation was carried out, there arise problems connected with the discontinuous deformations of the rock massif caused by the collapse of the post-excavation voids. Such problem occurred in the area of the Wieczorek mine as a result of shallow-depth (to 100 m) excavation of coal seams 501 and 510. The paper presents the extent of reventive works aiming at elimination of post-excavation voids and rock massif treatment in the proximity of the Katowice-Warszawa rail track in Katowice-Szopienice. It was shown that rock massif testing was necessary prior to commencing of the treatment works - to identify hazard areas and determine the order of essential tasks, during the treatment - as an ongoing assessment of work being carried out, and after their completion to assess results. Testing of the rock massif at each stage of the treatment works by monitoring discontinuous deformation elimination process is a necessary condition to effectively eliminate these hazards. 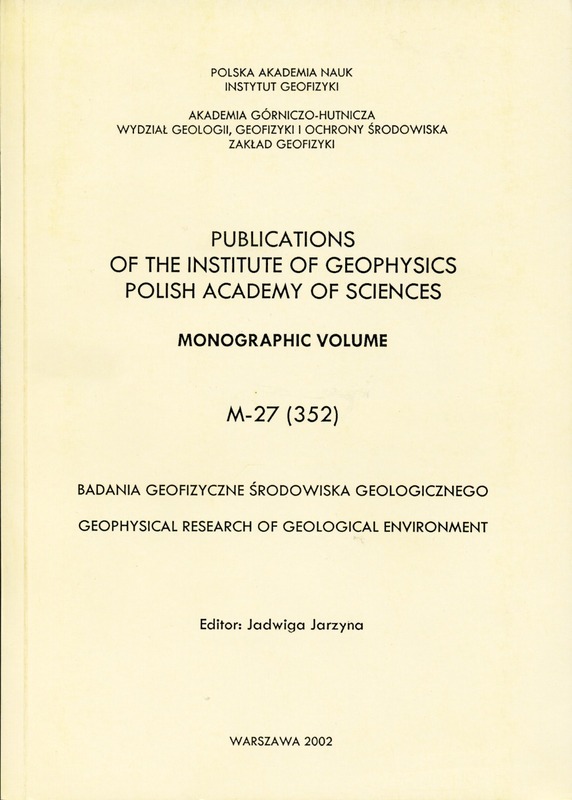 Author(s): Jarzyna J., Zorski T., Bała M., Krzeszowiec M.
Geophysical investigations in boreholes drilled in the vicinity of the Katowice-Szopienice railway station supplemented the results obtained by surface geophysical methods. The goal of these measurements was to confirm the presence of underground zones creating the danger for the surface infrastructure, and determine their elastic parameters. The following methods were applied: gamma ray spectrometry log, gamma-gamma spectrometry log, gamma-gamma density log, and caliper, and, in one well, acoustic full wavetrains recordings. Nuclear logs were specially calibrated before runs in air filled wells. Two density logs provided the unique opportunity to make the calibration of gamma-gamma tool just in the investigated formation. Acoustic full wavetrains were automatically interpreted in aspect of determining elastic parameters of rock formation. Technical conditions in wells, not typical for well logging, i.e., small diameters of boreholes, and a presence of undergorund headings with a height greater than the length of devices, created significant limitations for the measurements. The headings generated the danger of inclining of the device in its interior, and made it impossible to continue the run of the device. Thus, first the measurements with CCTV microcamera and the caliper log were made in all wells, to obtain the preliminary recognition of fractured zones and identification of hollows with greater size. The well logging provides detailed information on the lithology and petrophysical parameteres of rocks. The porosity log, completed in the whole profile, informs of the ability of gathering and producing water from pore space in tested profiles. Formations, which have total porosity greater then 20% and low bulk density, were classified as the hazard horizons with fractures and low elastic parameters; nevertheless, the same pattern may be associated with shale layers. Author(s): Dec J., Ślusarczyk R.
Tomography monitoring of the large building basement enables determining the cause of the building failure and measuring the rate of the subsidence process that is caused by the mining exploitation works. This method can be used in case of difficulties in the object investigation due to safety concerns or impossibility of applying standard field techniques. Underground mining activity may cause damage to the ground surface and as a result properties of near-surface rocks change. Surface resistivity measurements may be applied to monitor such phenomena. The resistivity imaging method was used to study the impact of unpredictable, underground water outflow to the surface in the Wieliczka Salt Mine in 1992. Distinct, relative changes in apparent resistivity of complicated pattern were observed. To explain the nature of the anomalies, numerical calculations were performed for simple 1D and 2D geoelectrical models. High-frequency resistivity anomalies were caused by a developing system of cracks and fissures. More general changes in apparent resistivity level may be triggered by variations in rock humidity and ground water table depth. Such variations may be a result of underground mining or climatic reasons. The strongest, relative resistivity increase occurred earlier than the vertical displacement of fixed landmarks. Thus, the resistivity method can be used as a tool for predicting and monitoring changes in rockmass parameters. To correctly interpret the results of the method the external, climatic factors affecting the state of the near-surface rocks should be taken into consideration. Of great concern to the disposal of chemical and municipal wastes is an impact they have on underground water. For more than ten years, geoelectrical methods have been successfully applied to investigate the geological environment and monitor the movement of chemically-polluted underground water. The paper presents a case study of the Żelazny Most settlement reservoir of flotation failings. Measurement techniques are described. The first stage of geoelectrical investigations resulted in detection and mapping of polluted waters in the foreland of the Żelazny Most reservoir. In the years 1992-2000, geoelectrical monitoring was performed along a selected measurement line. It was observed that apparent resistivity values increased as much as 2.5 times over a period of eight years. Geoelectric measurements included induction method, resistivity method, and penetrometer-based survey. Author(s): Mościcki W., Antoniuk J. The role of geoelectric methods in investigation of the impact of human activity on geological environment is described. A combined geoelectrical method is presented. It uses ground conductivity EM measurements with Geonics EM34-3, penetrometer-based geoelectric investigations, resistivity azimuthal soundings and resistivity imaging. Each method is briefly described and examples of application are given. The examples are taken from field works conducted by the authors. In most cases the combined geoelectrical method was used. In each case the survey technique was adjusted to the aim of work and local conditions (geology, terrain situation, etc.). The paper outlines the basic methodology for data acquisition and interpretation techniques of the electrical resistivity tomography method. The equipment used for field works at Geofizyka Toruń Ltd. is described. A short characteristic of the most popular types of the measuring array is given. The paper also presents the results of mathematical modelling of the geoelectrical anomalies from two-dimentional bodies ands a case study of detection and location of the subsurface heat supply line. Author(s): Zuberek W., Żogała B., Rusin M., Pierwoła J. The paper contains summary of research on heavy degraded and polluted area of one of the former Soviet military fuel bases in Borne Sulinowo (Poland). The base area is about 17 ha. In the past it was there 423 underground fuel containers connected with pipelines. Now the installation is extracted. In this area pollution refers to soils, surface, subsurface and groundwater. The reason of study was to test different geophysical methods: geoelectrical, electromagnetical and magnetical ones for surveys on contaminated ground. The maximum depth of survey was approximately 15 m. Several anomalies have been detected and it is possible to point out their sources. The anomalies create distinct zones, which can be related to the places where the former fuel containers were installed. They could be connected with oil contamination and products of its disintegration. The results indicate that several metal and ferro - concrete objects are still under the surface. Obtained findings show that the geophysical prospecting methods can be used for location and monitoring of areas degraded by military activity. In particular it concerns the former military firing grounds. Author(s): Karczewski J., Ziętek J. The paper presents examples of applications of the GPR method (Ground Penetrating Radar) to environmental protection. The method may be used in detection of post-exploitation voids, location of hydrocarbons polluted areas, landslide investigation, and location of different underground object. All measurements presented in paper were carried out with the Swedish georadar RAMAC/GPR with 100, 200 and 400 MHz antennas. The correlation of gravimetric and GPR method gave best results. 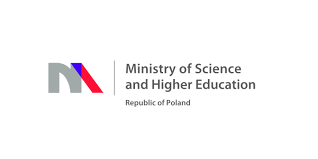 Author(s): Marcak H., Tomecka-Suchoń S.
Disturbances in the near-surface layer of the earth, which are results of mining subsidence, can be recognized with the use of geoelectrical measurements. The changes of physical properties in porous rock medium resulting from an increase of porous pressure and elastic and inelastic deformations are analyzed. It was shown that both types of deformation can lead to changes of electrical resistivity of a rock medium and the level of changes depends on the kind and intensity of deformations as well as the composition of liquids in pores. Two types of experiments were carried out to obtain empirical relation between the electrical resistivity of rock samples and the hydraulic pressure in pores. In the first type of experiments, only the pressure in pores was changed, while in the second type, which was designed with use of rigid press device, also axial and coffining stresses were acting on sample in controlled way. The results of measurements shown in the paper prove that the measurements of electrical resistivity can be treated as an indicator of deformations inside the rock resulting from changes of hydraulic pressure in rock pores. The closure of coal mines affects the natural environment in many ways and may pose a hazard to local people. The problem includes migration of coal gas into the near-surface zone. The surface seismic survey is the basic method used to estimate the concentration of methane and carbon dioxide in the soil. Seismic monitoring can or even should be applied as a complementary technique which allows spatial distribution of gas migration paths and gas migration zones to be identified and gas concentration to be estimated during its migration to the surface. Hence, the seismic monitoring enables gas hazard in near-surface zones to be predicted. So far, the seismic method has not been used in solving such problems of coal mining, although the experience gained in oil and gas prospecting points to such a capability. The first stage of the study included seismic modeling to define the criteria for identification of seismic anomalies associated with gas diffusion. Theoretical seismic sections were calculated for seismogeological models both with the presence of gas migration and the absence of gas migration and then compared. Changes of seismic field induced by gas migration were estimated. The criteria for "gas diffusion chimneys" identification were drawn from the investigation made in the Czechott coal mine. The following stage of the study will include the identification of seismic anomalies and correlating them with the surface geochemical data. This requires serial seismic surveys and geochemical measurements in zones of greatest gas hazard.